I color my hair regularly at a salon. They sell several expensive shampoos there. I'm so happy with this product that I decline buying "professional" shampoo now. This shampoo lathers well. I have very thick hair and only use a quarter-sized amount. It effectively removes oil and grime without stripping my hair of moisture. I always follow up with the matching conditioner. The scent is lovely. It's not overpowering or too much like perfume. I would recommend to all. L'Oreal Advanced Color Vibrancy is the best! I have tried a number of different "colored-hair" shampoos and the one I buy the most often is definitely L'Oreal's Advnaced Color-Vibrancy Shampoo. The reasons I buy this one are it has a nice scent, it cleans well without stripping my hair of color, and it is a reasonable price. There are often coupons for this product and the local drug stores and grocery stores often have sales on L'Oreal products, so when combining that with the coupon I feel this shampoo is a great value for the money. I also like the design of the bottle as it has a wide "top" which you can stand the bottle on so that the product is ready to dispense and it does not tip over easily in the shower which is great. 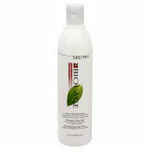 Effectiveness I have been using this product daily and found that my hair is clean and manageable. I have not noticed any color fading so I believe that the product does help my maintain the color between hair coloring sessions which I do approximately every two to three months. I do have color resistant greys and even they seem to maintain the color treatment . Scent The scent is pleasant. I had never tried Loreail before they started putting out some really great high value coupons. Now that I've tried it, at affordable prices, it's the only non -salon shampoo I want to use. See, I'm on a very tight budget for food and household items so that led me to couponing. Garnier Fructis were and still are putting out coupons for their brand. I used it for awhile, agree its totally acceptable for the money we spent, but I always felt like my hair was much more frizzier than it should be for a girl with straight semi thick/medium hair. Flyaways, breakaways, general frizz, you name it. Well, now that Loreal puts out coupons so I can afford their product, I love it! My hair always feels clean, NOT frizzy, I have hardly any flyways or breakaways. It's great results for a store bought shampoo. Effectiveness I went from always frizzy, to never frizzy now, no flyways,nothing. Scent I like the smell, it's not too overpowering but still smells clean! The loreal advanced haircare color vibrancy nourishing shampoo works very good on my hair. Everytime I dye my hair I feel that it locks in my color. I always feel like the color after is always very shiny and the color always looks refreshed. It makes my hair feel very clean and it lathers up very well. It doesn't fade my color out when I wash my hair. Its safe to use for everyday it doesn't strip out my hair color when I first dye it. I've tried other shampoos and I always see my color running with the water and I don't like that. 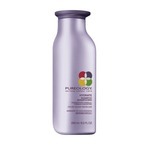 With this shampoo I see a difference in my color lasting longer and looking shiny and healthy. I don't dye my hair as much anymore because this shampoo I know I can trust with my hair. Its not harsh on my hair its very delicate. It smells really good and it has a rich texture all you need is a little bit. I would recommend this to anybody who has color treated hair that want to maintain hair vibrancy and keeping it looking healthy. Not sure how well it helps my color hold, but a good shampoo. I like this shampoo a lot. It smells great and seems to work really nicely on my hair. My only complaint is that I'm not sure how well it helps me keep my color. I'm going gray at a pretty young age, so I dye my hair frequently. The last time I dyed my hair was about a month ago, and I bought this shampoo and conditioner to help the color last, and I always wash my hair in as cold of water as I can manage. My hair is already showing a lot of the grays again. To be fair, I dyed it a shade of red, which does not hold very well, so I'm not sure if it's because of the color that I selected, or if this shampoo wasn't very helpful. 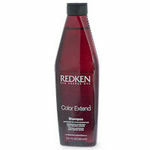 Overall, I like the shampoo, I'm just not sure if it is a big factor in lasting hair color. One other major plus is that I'm fairly certain that L'oreal has recently eliminated most of their animal testing, which was the reason I had not tried this particular shampoo before. Effectiveness It works well as a shampoo, but I don't know if it was effective in managing my hair color. Scent The smell is great! Best Hair Color Shampoo for the price. Doesn't bleed color any extra after initial first few washes. Keeps hair color lasting and smooth to the touch. Effectiveness This would definitely be my go to product after color treating my hair. Color lasts long and hair stays healthy at same time. Scent Scent is great. Feels fresh and renewing. This product works very well for me. I have very long thick hair, which is color treated. Besides keeping my color vibrant and fresh, it really moisturizes my hair, which helps very much considering that it's color treated. This product smells really good. It leaves my hair feeling soft, and clean. It works even better when paired with color treatment conditioner. It doesn't take a lot to work into your hair, and it lasts a pretty long time. Its definitely worth the money that you would spend on it. It doesn't leave my hair looking dull or lifeless. It doesn't cause build-up on my scalp either. It makes my hair really shiny and healthy. I would recommend this problem to someone looking for a shampoo that will help keep their color longer and helps it to look brighter, and will not pull the color out. This shampoo would work very nicely for all hair types and it lathers really well.